What is YOUR Most Desirable Diamond? Desirable Diamond? Well, maybe you're into the "hip and now" trends or the traditional and sophisticated gems. Most people want the expensive certified loose clear and light yellow ones. Others desire the more affordable and exquisite looking ones such as the lab-created Cubic Zarconia. They are the most beautiful and oldest gems on earth, you'll ever own. They are exotic and bring out the passion in all of us. Have you ever wondered how old they were? Or how you can tell Real from the Fake gems. Are they really a Girls' Best Friend, a Conflict or both? I want to give you Information on this website about them. 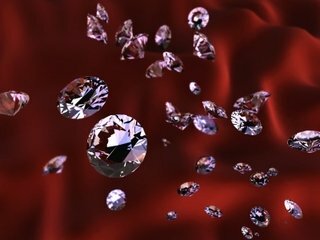 I'm talking about the beautiful ice, of all kinds, the most expensive, rare, the hottest, and the most popular gems for today's taste, fashion and style. When you see their sparkle, it makes you feel lavishly abundant and financially secure. Getting diamonds from your loved ones make you feel desired, special, and loved. Some people make a living selling them. They are your favorite jewelers or brokers. There's a Natural State Park that you and your family can go to and dig for these gems, keep and take them home. There's much you can learn from this website, so, Welcome!